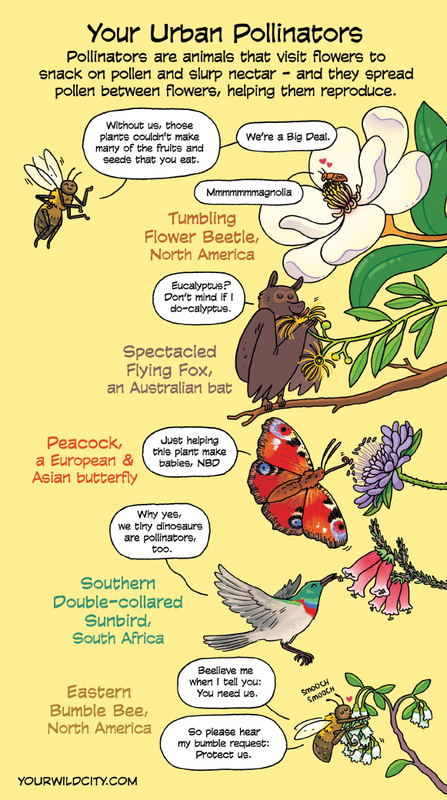 This comic celebrates the many different types of pollinators all around the world! There are so many that we couldn’t include. Flies and moths are also enthusiastic pollinators. Find more surprising examples here!